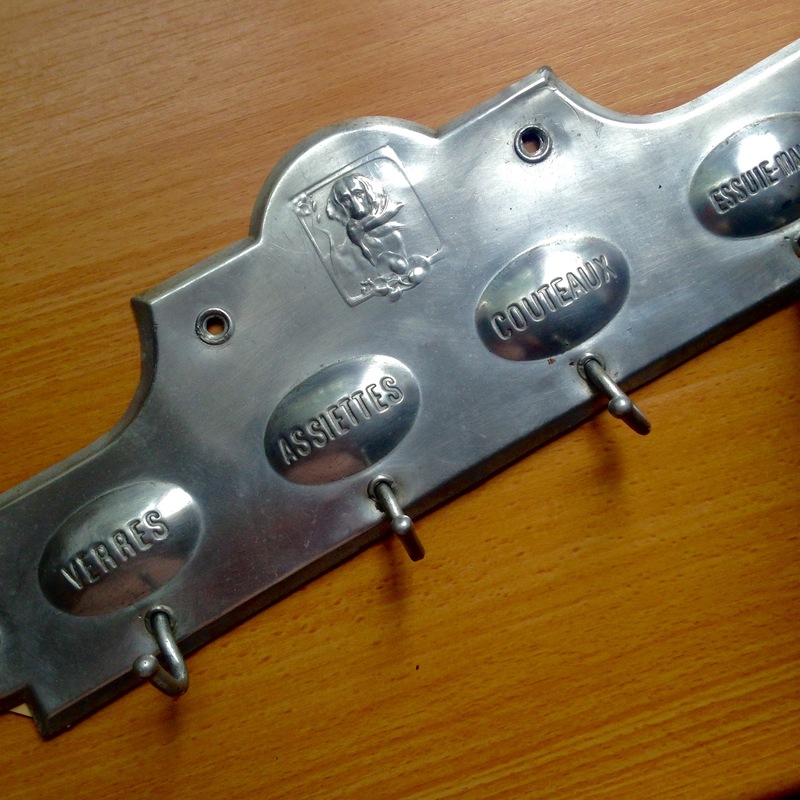 I love everything vintage and antique, especially French vintage and antique! Nothing makes me happier than suddenly bumping into a vide-grenier or antique market in the French countryside. It’s almost guaranteed that I’ll walk away with something beautiful and original, sometimes for almost next to nothing. My prettiest plates, glasses, kitchenware and silverware were purchased in France, and that makes them even more dear to me. It’s such a joy to dream away as I set the table or drink my morning coffee from an antique French bowl. Imagine all the meals, conversations and people that are part of their history! Every year at the end of summer, my city also hosts an antique market. Vendors from all over the country gather in front of the harbor to sell everything from vintage toys and clothes to all kinds of stunning items for the home. For some reason, I missed it the last couple of years, but this year I made sure to plan a few hours in the morning to go in search of new treasures. And I’m so glad I did! Have a look at the lovely things we purchased! PS: We ended our antique hunt with a plate of fish n’ chips and a cold glass of Chardonnay! How could we not?! Happy Sunday! Look how cute that terrine dish is! 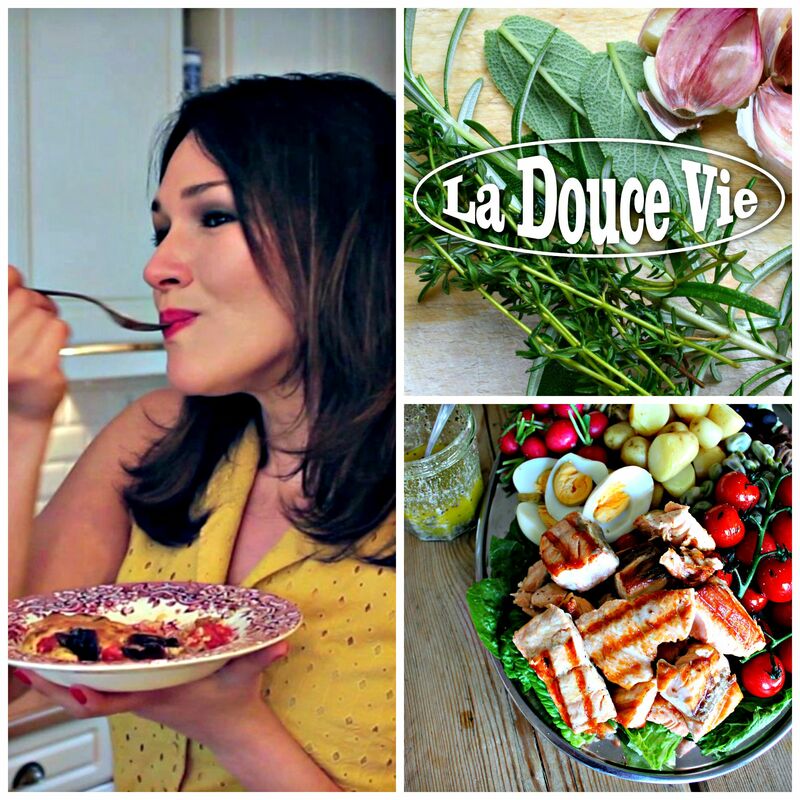 Enough reason to finally develop a proper terrine recipe of my own! 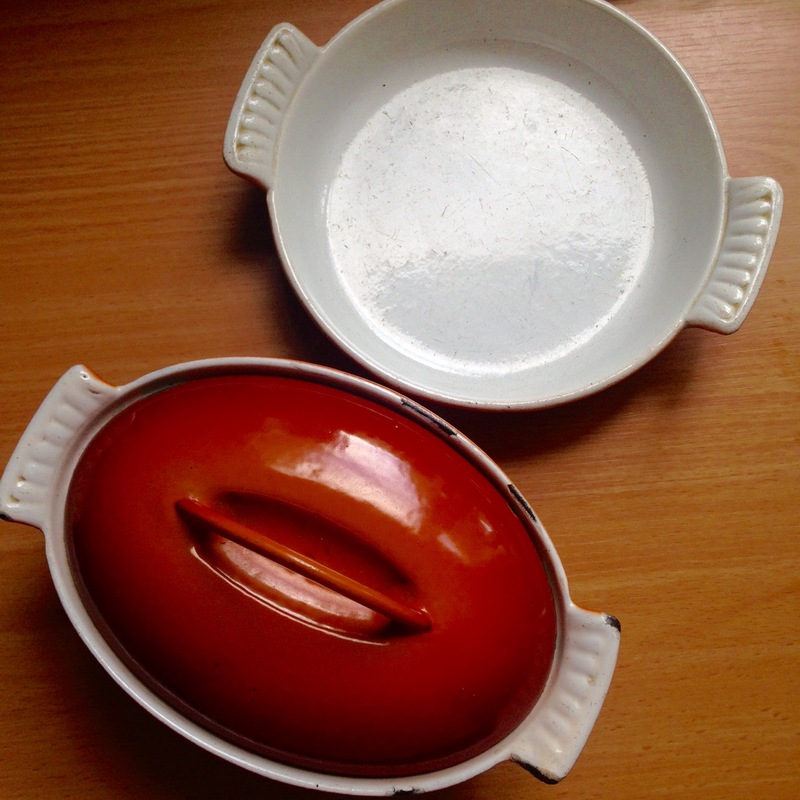 And the small dish next to it is perfect for baked eggs or a small crumble for the three of us. 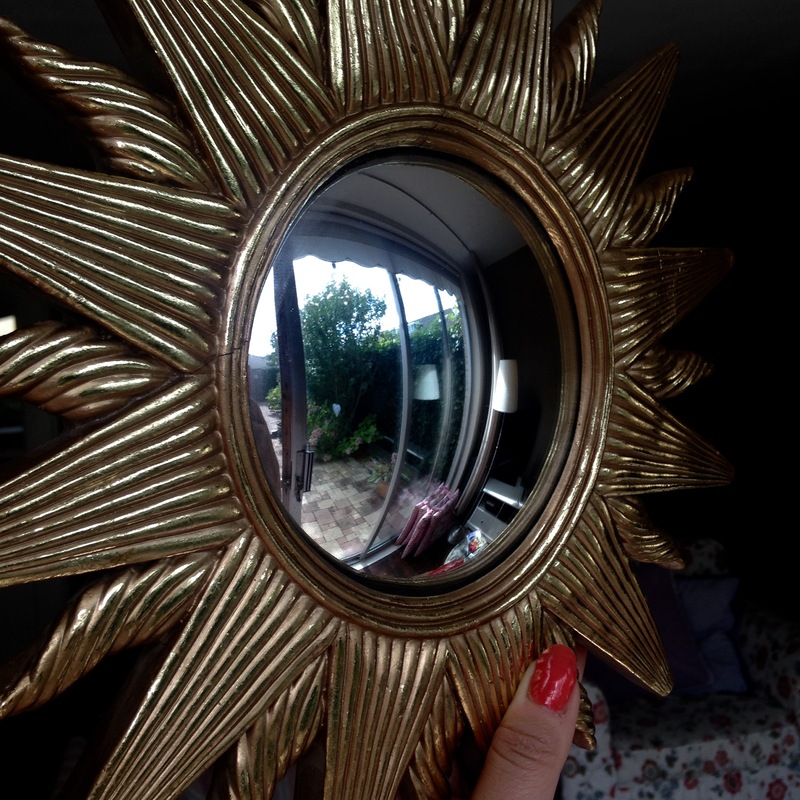 A convex mirror! It really reminds me of the one in Van Eyck’s ‘Arnolfini Portrait’. What do you think? Now the only questions: where do we put it??? 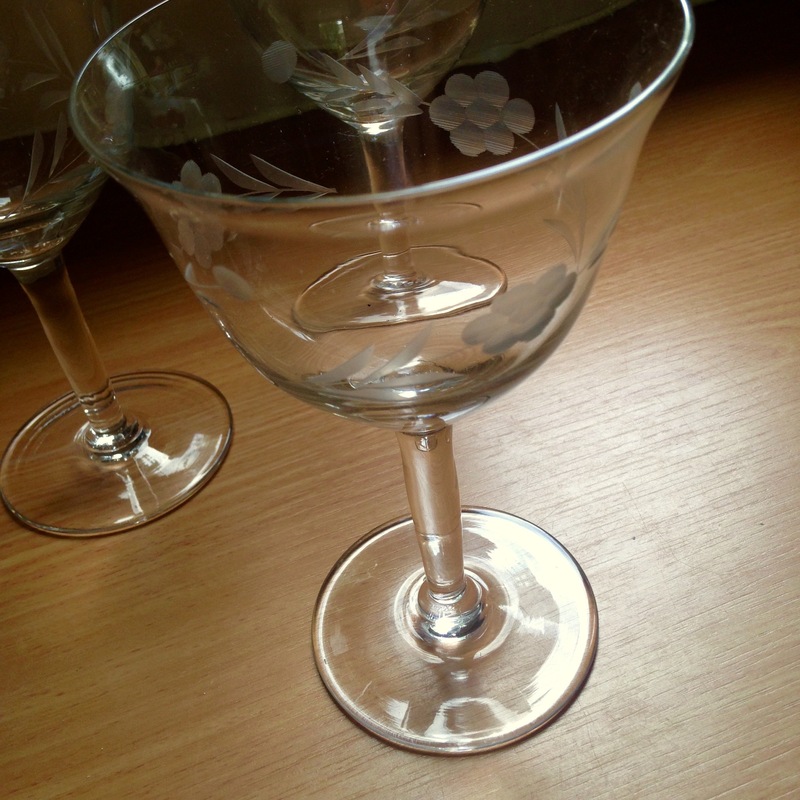 Three gorgeous glasses with a delicate flower pattern. So pretty! 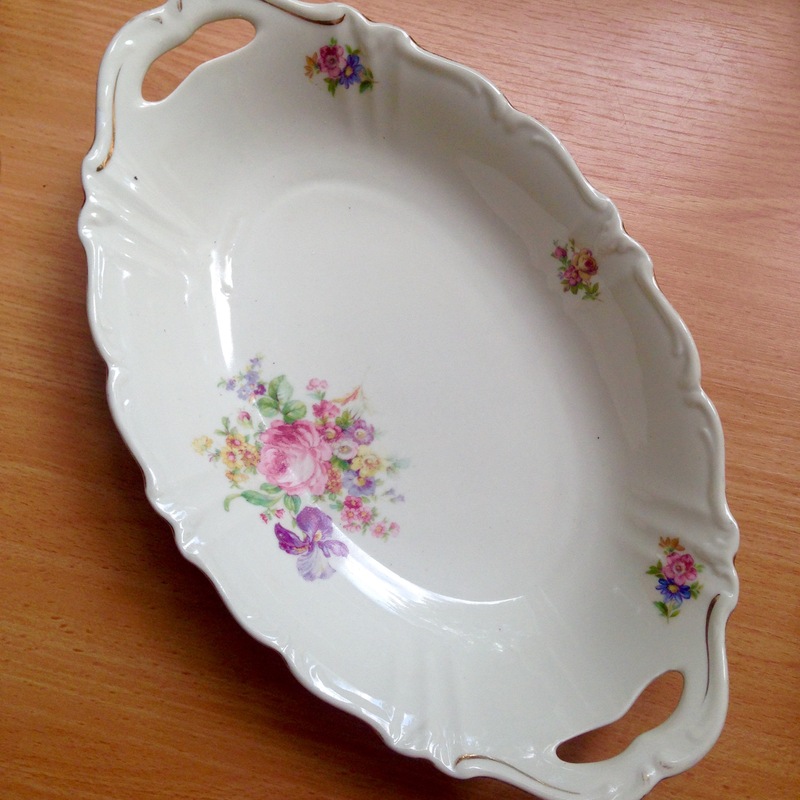 An oval-shaped serving dish, perfect for asparagus or for slices of French bread to serve with dinner. 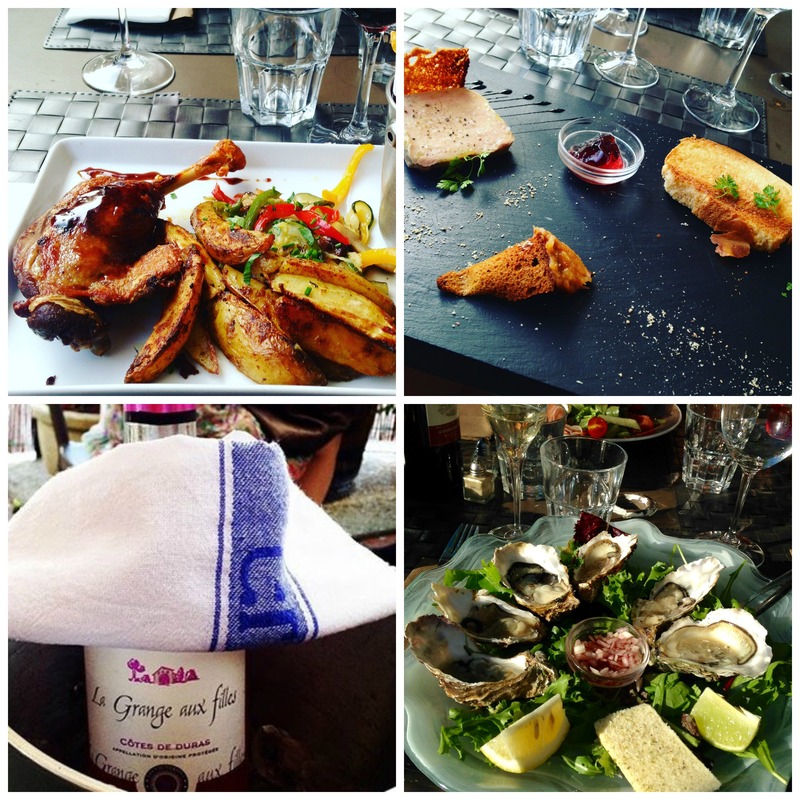 If you’re ever in Duras, make sure you book a table at restaurant La Terrasse. Situated on 4, place Jean Bousquet, directly in front of the majestic castle, the restaurant was reopened in the summer of 2013 by the couple Mathias and Éléonore Billaud. Unfortunately, it appears it went through a difficult period with the previous owners, but since its new management, La Terrasse has secured a spot as the number one restaurant in town — and with due right. During the weekdays (with the exception of Wednesday) the restaurant serves a three-course, set-price menu for fifteen euros. The choices are always creative, plentiful and very delicious. I’ve had an exquisite ossobuco, a dish of silky squid ink pasta with a creamy seafood sauce, crispy tarts topped with summer vegetables and cheese, oriental style pork and many excellent desserts. 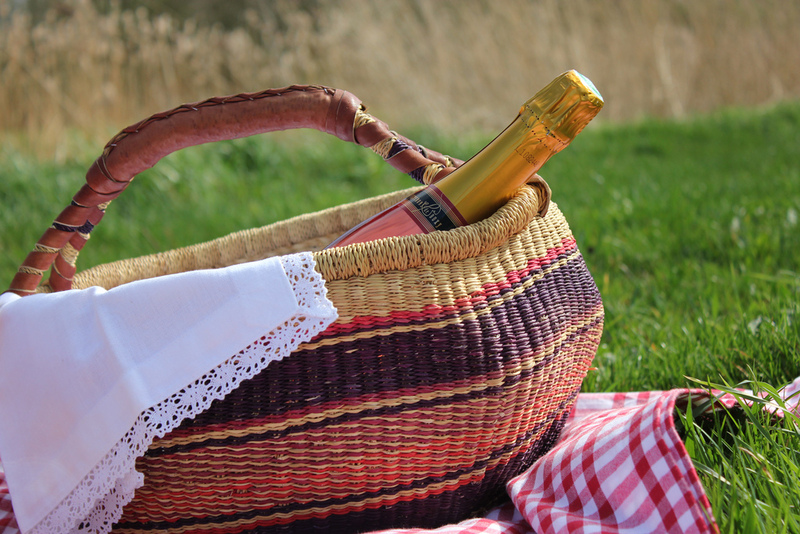 The wine list includes a good selection of some of the best local wines as well as other good choices from the rest of France. You can also choose a carafe of their house wine, which will not disappoint. For dinner (with the exception of Tuesday and Wednesday), the restaurant offers a varied menu that includes perfectly cooked steaks, regional delicacies such as confit de canard, a few seafood options and even a very tasty fish n’ chips (remember, there’s a large English expat population in Duras!). This year one of the special offers outside the menu was a starter of oysters which almost made me cry it was so good — especially with a chilled glass of champagne (or two)! The best part, however, is the friendly and correct service. The team is always welcoming and very helpful, and the owners are pure charm and grace. The only thing you’ll have to remember is to book a table as judging from the always full restaurant, we’re not the only ones who have fallen in love with La Terrasse! I had been wanting to try this recipe for a while now, and yesterday, as the snow fell and I found myself craving something sweet, I finally gave them a try. 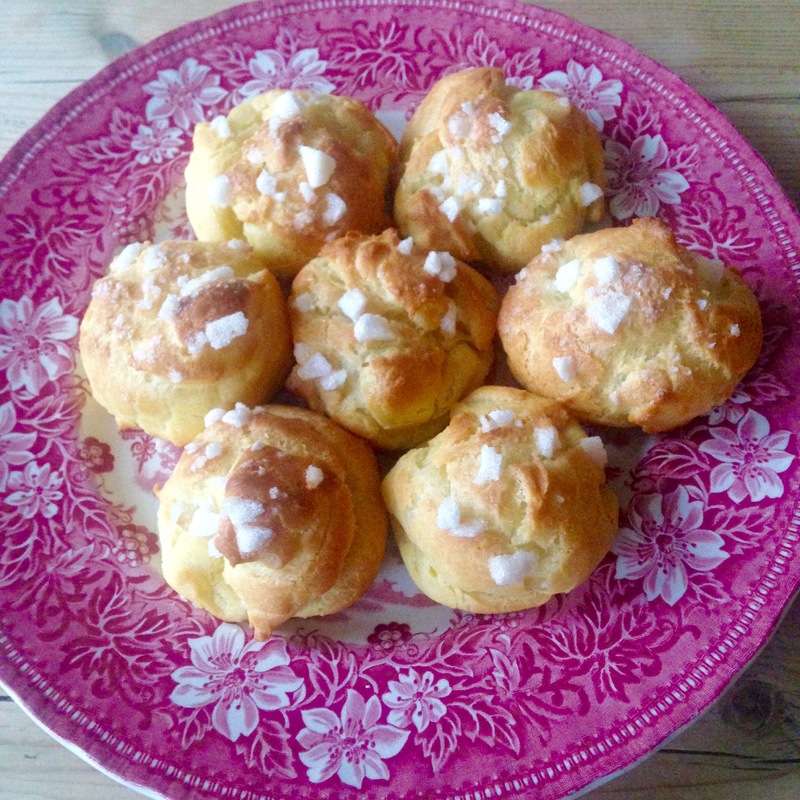 Chouquettes, for those who aren’t familiar, are a small French pastry, similar to a cream puff, but without the cream. Instead they are topped with pearl sugar which gives them a beautiful sweet crunch. They are usually sold by the bagful at French bakeries. No one in their right mind would order just one, or could eat just one, for that matter! They are light as clouds and incredibly cute. Like little angel kisses! There’s been a lot of talk of an early spring here in the Netherlands, and I can’t help but nod in agreement. Daffodils are sprouting up everywhere and tree buds look as though they’re ready to embrace the new season any minute now. The sad reality, however, is that it’s still February and winter has a little more than a month to go. Honestly, I am not much of a fan of winter, so as far as I’m concerned, all of these early signs of spring are very uplifting! Wouldn’t it be wonderful, by the way, if Valentine’s Day fell in the (preferably late) spring?